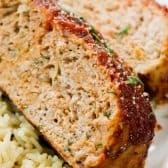 Moist Turkey Meatloaf is easy to make and tastes so good your family will request it over and over again! Loaded with lean ground turkey, seasonings and shredded veggies for moisture, this is the best Turkey Meatloaf Recipe you’ve ever had! 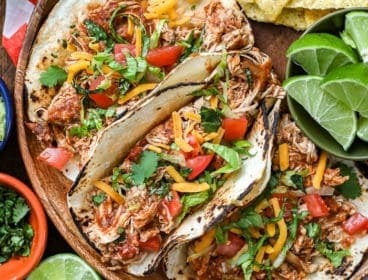 It’s perfect for healthy eating and absolutely full of flavor! 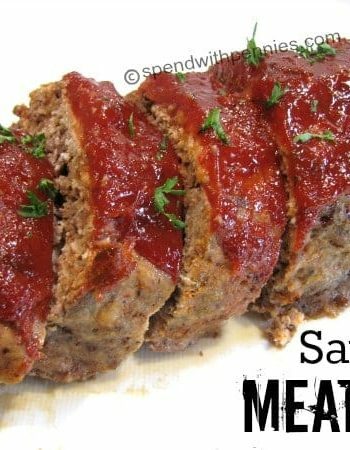 Learn how to make meatloaf lean & delicious! 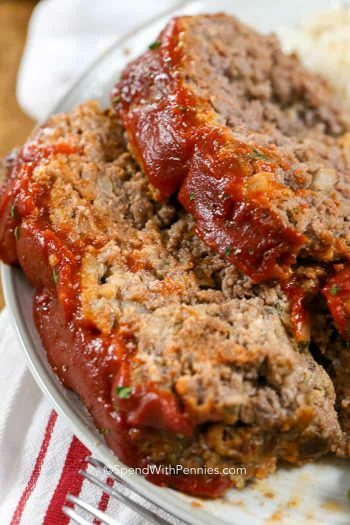 Turkey Meatloaf is an easy meal and one my family requests all of the time! 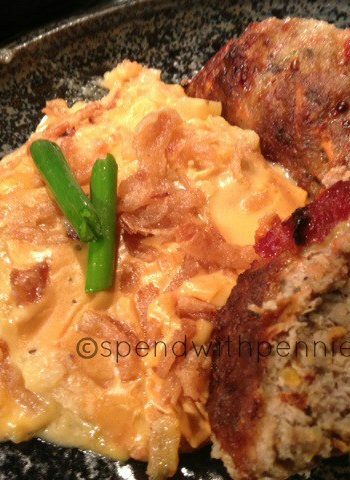 I switch between making our favorite easy Meatloaf made with beef and this turkey meatloaf recipe. Meatloaf has been a favorite of mine since I was little but now that I’m older I try to balance my meals throughout the week… if I’m eating something indulgent (like my most favorite Mac and Cheese in the whole world) then I like to choose a healthier protein to go with it like this turkey meatloaf or Easy Grilled Chicken Breast. 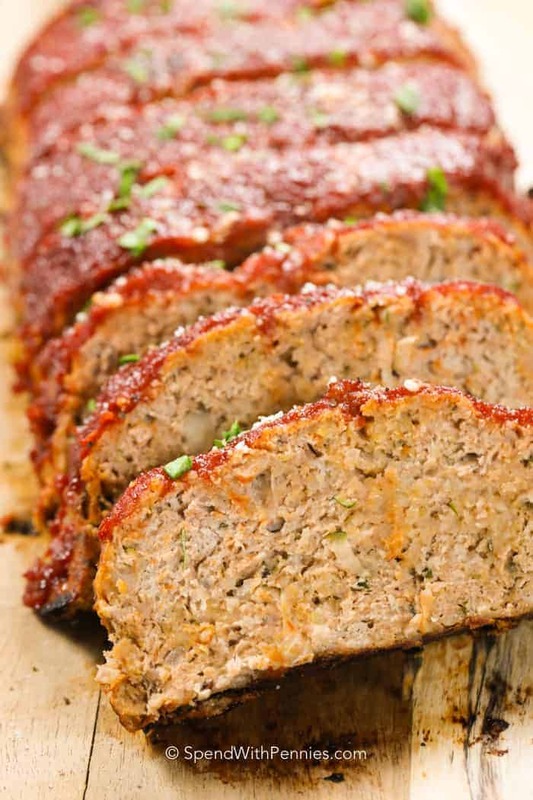 This turkey meatloaf is so good and it has everything you’d want in a meatloaf… it’s moist and very flavorful. 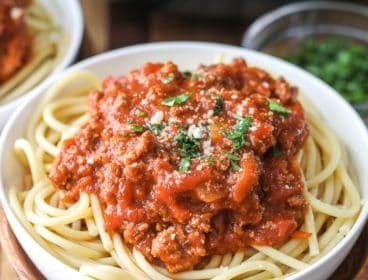 It doesn’t fall apart when you cut it, it reheats perfectly and is great leftover and heated up (although I prefer my leftover meatloaf like my leftover pizza; cold from the fridge… is that just me?). 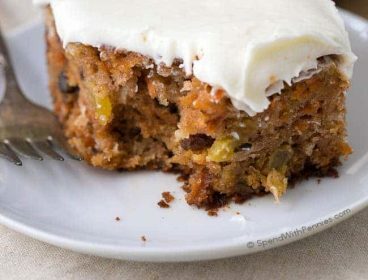 Like any meat if you overcook it, it can dry out but the added shredded veggies make a tender and moist turkey meatloaf! 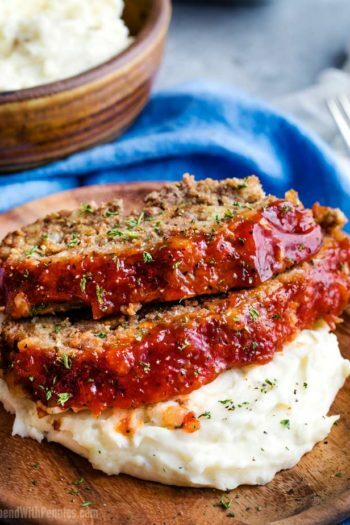 Turkey Meatloaf is simple to make. Following the steps below (and using a meat thermometer) will ensure you get a moist tender loaf every time! Remember not to overmix your meat (this causes a tough/dense meatloaf) and to cook it on a baking pan. If you use a loaf pan, you’ll build up steam and liquid in the pan making for a soggy turkey meatloaf. Combine breadcrumbs with eggs and tomato sauce. 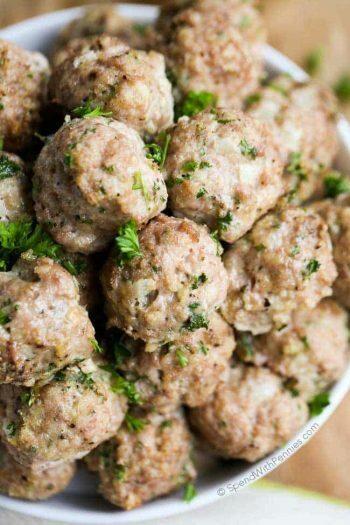 Add onions, ground turkey (or ground chicken) and shredded zucchini or mushrooms. Form into a loaf on a baking sheet and bake. Rest a few minutes, slice and serve. What temperature is turkey meatloaf done? I most often cook turkey meatloaf at 375°F. This allows the meatloaf to cook through without drying out and keeps the inside tender. 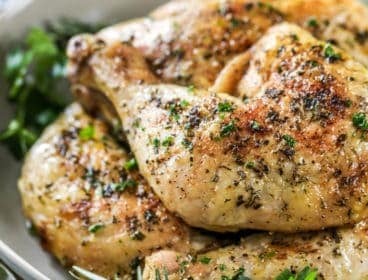 An instant read thermometer allows me to quickly check meats without having them out of the oven too long if they’re not done (everything from Oven Baked Chicken Breasts to perfectly tender Pork Tenderloin). Cooking meat right really makes all the difference in the world to your recipes and you can get an instant read thermometer for under $10! A Digital Probe Thermometer (under $20) is one of my best kitchen investments (along with my kitchen scale). I love this thermometer, especially for meats that take longer like roasts or Roast Turkey (but I do use it on all kinds of things).This thermometer stays in the meat while it cooks so you know what temperature it’s at. 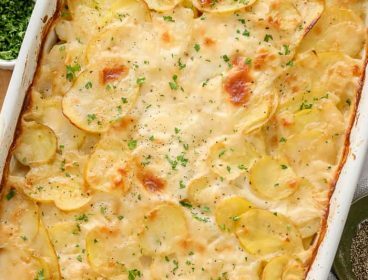 I find it handy to know when to start side dishes and to not have to babysit something in the oven! The times below can vary based on exactly how thick your meatloaf is formed so it’s best to use a thermometer (above). With ground turkey or ground chicken, you want to be certain the meatloaf reaches 165°F. (I usually take it out at about 162°F because it rises a couple degrees while resting). Bake a 1 lb turkey meatloaf for 45-55 minutes. 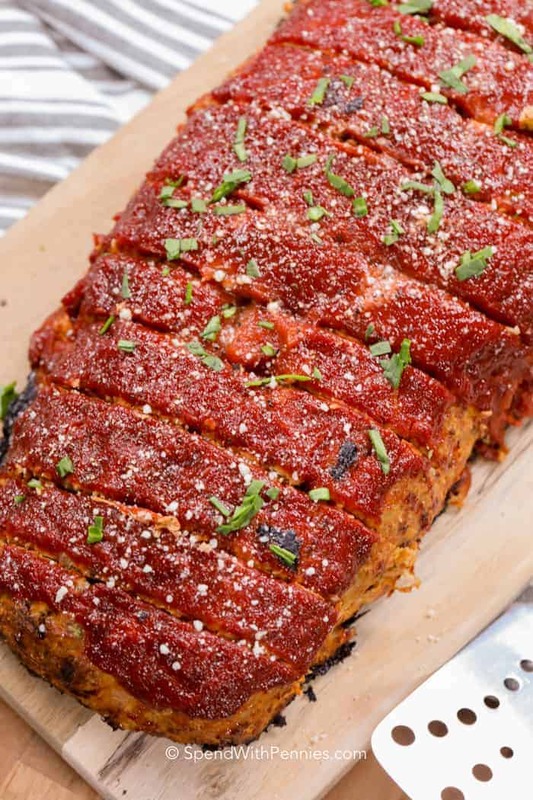 Bake a 2 lb turkey meatloaf for 50-60 minutes. Bake a 3 lb turkey meatloaf for 65-75 minutes. Make sure you let your meatloaf rest for about 10 minutes before slicing. 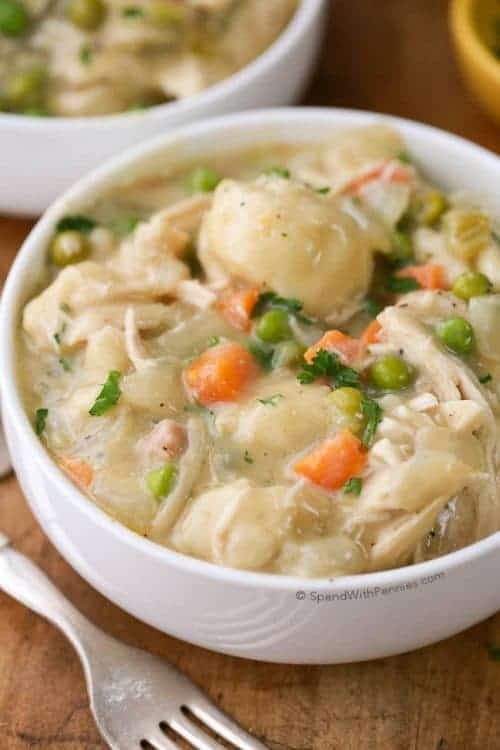 This will help ensure it doesn’t fall apart stays moist and juicy! 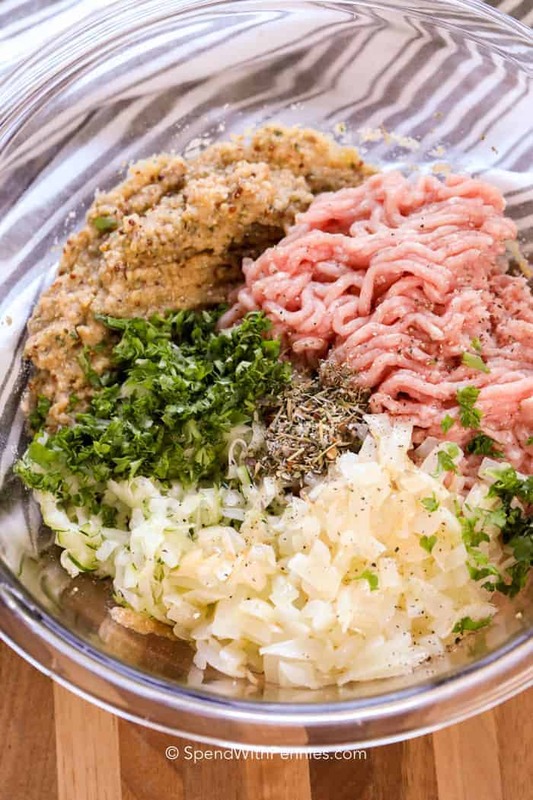 To make turkey meatloaf muffins, prepare turkey meatloaf mixture as directed. Fill greased muffin tins 3/4 full with meatloaf mixture and bake 20-25 minutes or until 165°F. 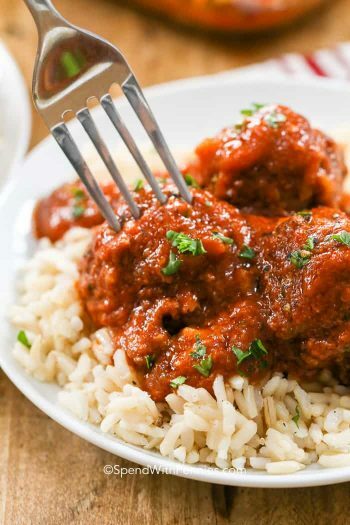 The meatloaf mixture using ground turkey makes this easy meatloaf a healthier alternative to a traditional meatloaf as it’s a little bit leaner! 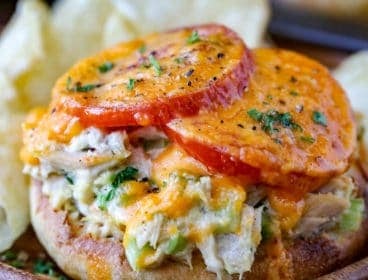 It’s also kept extra moist because it has some sneaky little veggies hidden in it. Vegetables The addition of turkey lightens this meatloaf up in calories, and I find it much richer and flavorful than a typical 100% ground turkey meatloaf. I love the zesty addition of Chili Sauce, but feel free to use ketchup in its place if you don’t have it! If you are not familiar with Chili Sauce, it is NOT spicy but is just a deliciously zesty sauce similar to ketchup but less sweet. 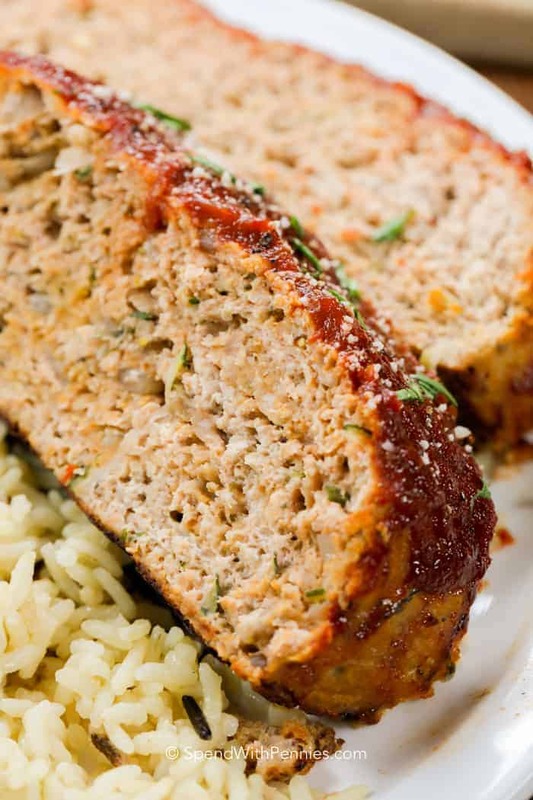 Turkey Meatloaf is moist and tender with lots of flavor. Preheat oven to 400 degrees. Line a pan with foil and spray with cooking spray. Cook onion and butter in a pan until onion is translucent (about 5 minutes). Cool. In a bowl, combine bread crumbs, eggs, Worcestershire sauce, and tomato sauce. Let sit 5 minutes. Add remaining ingredients and mix just until combined, do not overmix. Form into a loaf about 4″ wide and 3″ high. Bake for 35 minutes. Combine Meatloaf Sauce Ingredients. Spread on top and bake an additional 20 minutes or until center of meatloaf reaches 165°F.